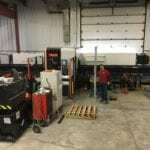 All Metals Fabrication is excited to introduce the Mazak Fabrigear II 220 to our fabrication process. 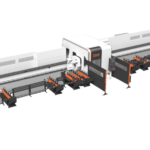 Designed for fast, high-precision cutting solutions, this state-of-the-art tube laser boasts a 4,000-watt power cell and can handle heavy wall pieces of tube, pipe, channel, beam, angle or custom extrusion. The tapered laser torch allows for the laser cutting head to get into tight corners resulting in ultimate flexibility to cut any shape or size. Cut types, material shapes, and unique chamfering that were once impossible to do, can be easily accomplished with five axis cutting on all shapes: square, round, T, channel, angled, beams and more. Assemblies can take advantage of slotting, tabbing, mitering and hooking to create parts and assemblies. 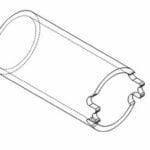 Form, angle cut, notch or bevel parts to create new assembly ideas. 2. Incredible speed increases in handling and fabricating traditional and non-traditional shapes and extrusions. Traditional methods, sawing, drilling, coping, mitering, punching, milling and deburring can be eliminated. These processes are often slow and inaccurate. Require multiple movements and handlings of material (often large materials). Are often laborious and slow due to hand marking or other manual processes. 3. Notable increase in downstream weld and assembly of parts. Expensive set up and jigging costs may be eliminated in many cases because parts can be designed to fit together with tabs, hooks, slots and hole locators. Gaps, spaces and out of square issues that usually cause excessive weld filling and part manipulation can be completely eliminated. Grooves and joints can be prepped and ready for immediate welding, eliminating grinding and beveling often required for proper fillets and weld assembly. Carefully planned tabs, marks and slots allow for fit up that eliminates parts being fabricated backward, incorrectly or errantly placed. Tacking and Fitting parts together can often be eliminated. 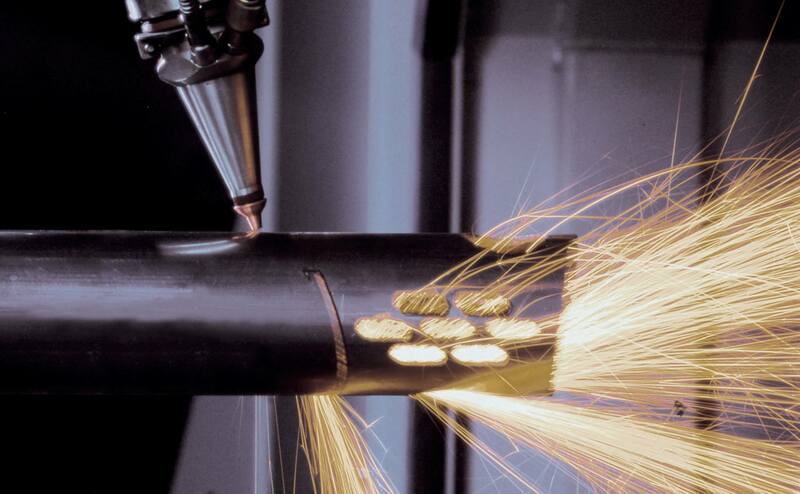 Tube laser technology is most often used in engineering and fabrication shops. Fabricators, erectors, job shops and local OEMs often outsource their tube and structural processing to save significant downstream assembly costs while simultaneously improving quality. Click here to see detailed tube laser machine specs. 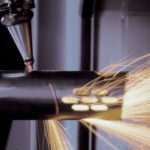 Contact All Metals Fabrication today to find out how tube laser cutting can change your fabrication world!